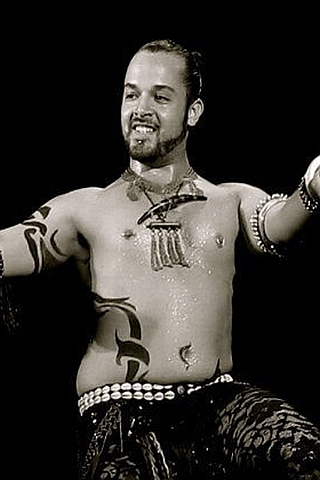 Eliran Edri Amar is a talented Tribal fusion bellydancer, choreographer and teacher. Eliran Edri Amar is a talented Israeli Tribal fusion bellydancer, choreographer and instructor, a Monera troupe founder, and the Jerusalem Belly Dance Spring Festival producer and art director. Eliran's career started in Habima National Theater as an actor and a singer. The discovery of the tribal dance magic affected his artistic development and exposed a brilliant dancer. 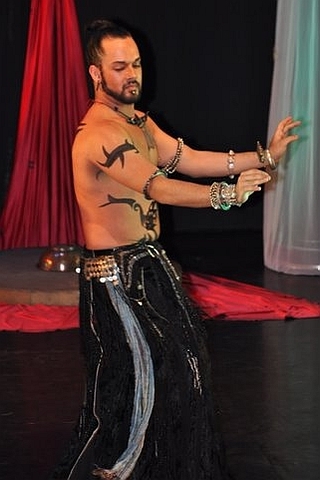 Eliran studied with world known bellydancers such as Rachel Brice, Sadie Marquardt, Mardi Love, Kami Liddle, Zoe Jakes, Sharon Kihara and Frank Farinaro. Today Eliran performs and teaches in Europe, USA and Africa sharing his unique masculine dancing style with dancers all over the globe. His choreography and techniques are known for the crispy pops and locks and magnificent slow movements.